Find below the Suzuki Burgman Street mileage. Average mileage of Suzuki Burgman Street is the sum up of fuel efficiency figures in city and highway divided by 2. *Arai mileage is the mileage of Burgman Street bike as claimed by Suzuki auto. * Mileage of Suzuki Burgman Street mentioned here is the ARAI mileage. ARAI mileage is calculated under standard test conditions. Real time mileage of Suzuki Burgman Street will be lesser than the quoted figure. Mileage of Bike doesn't vary with variants but with engine options like petrol - Suzuki Burgman Street. 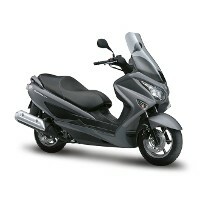 Suzuki Burgman Street mileage, Suzuki mileage,Burgman Street mileage, Suzuki Burgman Street fuel efficiency.